For any new mom, sleep is a very important topic. In fact, a survey has shown it's their number one challenge, ahead of time and money and is typically ranked among the highest in search terms. Luckily JOHNSON’S® has launched a new global campaign called Tonight We Sleep™, which focuses on a proven sleep routine for baby’s happy, healthy development: Warm bath, Gentle Massage and Quiet Time. JOHNSON’S® multi-sensorial 3-Step BEDTIME® Routine consistently improves baby’s sleep and is clinically proven to help baby fall asleep faster and stay asleep longer. 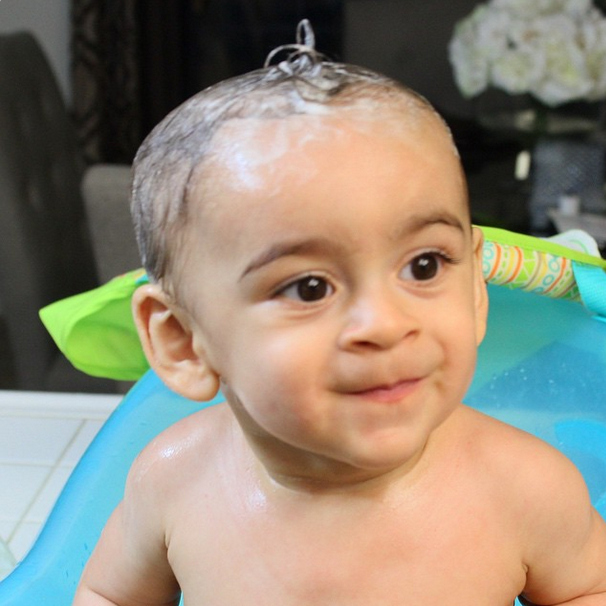 Our mommy bloggers downloaded the JOHNSON’S® Tonight We Sleep™ App and tried the routine on their little ones last week. Below they share if it made a difference for their babies. "I’ve been using the app for a week, and just love all of the features it has. One specific thing that we’ve been doing with Ju is the Tonight We Sleep™ 7-day Challenge. Through the challenge, we can track how Ju has been sleeping, and the progress we’re making while adjusting to our new normal. I happy to learn that although our routine isn’t perfect, we’re not doing too bad!" "Este camino con mi chiquitín apenas comienza, pero ser la tercera vez tiene muchos beneficios como aprender de los errores cometidos con mis otros hijos, tener un poco más de confianza y experiencia y contar con herramientas que me ayuden como la rutina desarrollada por JOHNSON’S®." "Nothing gets a child down better than a lullaby. 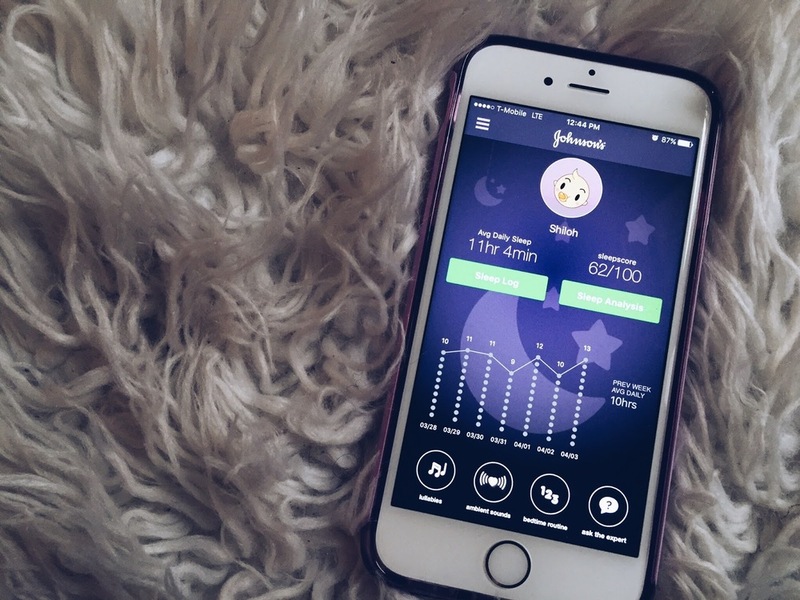 In the app, JOHNSON’S is also unveiling the first lullaby that leverages the science of sound and of moms, to aid in the bedtime process." "Las canciones de cuna Tonight We Sleep™ incluyen sonidos únicos que se utilizan alrededor del mundo para ayudar a que el bebé se duerma, tales como el océano, animales del bosque y hasta los latidos del corazón de mamá, y la preferida de mi bebe: Twinkle Twinkle Little Star." "There are some nights when Shiloh is a doll to put to sleep, and there are some nights I want to pull my hair out. Sleep for adults and children is a very big necessity. Sleep for the little ones is essential because that is when they grow and develop the most. Sleep allows them to physically, emotionally, and cognitively grow. All of this helps with memory support, being active, and less tantrums. When I learned about Johnson's® Tonight We Sleep™7-day Challenge." Visit Johnson's® to download the app and give it try on your little one! Cold and flu season hit us hitting pretty hard. Even now that Spring is here, many parts of the country are still dealing with cold weather and snow. But at the first sign of a sniffle, VapoRub or Vaporú, (how our mamas and abuelitas call it) is the go to for many Latina moms. The calming ingredients inside this jar are the perfect remedy to sooth our chests and throats. Abuelita always trusted VapoRub, and Abuelita was always right! Check out how some of our #LatinaBloggers spreading the #VapoLove and sharing their childhood memories with Vaporú. "Growing up, my home always had a jar of Vicks VapoRub, or Vaporú, handy. As a kid, I remember my mom rubbing it on at night to help me feel instant relief." "I clearly remember my mom using Vicks for her headaches... for my gripes, for my bruises... and for a zillion other illnesses. And now that I am a mom I find myself doing the same with my 4 year old." "When my children are sick, I cuddle with them too. I read to them, bring them hot chocolate, stroke their foreheads, and rub Vicks VapoRub onto their chest." Be sure to follow #VapoLove for more childhood memories with Vicks VapoRub. This year PepsiCo Foundation, GENYOUth and Fuel Up to Play 60 partnered to create the Fuel Up to Play 60 en Español website. This extension of the Fuel Up To Play 60 website offers Spanish-language resources that aim to get parents and communities involved in health and fitness inside and outside of the classroom. The website launch was accompanied by two live events in Miami and Los Angeles. The launch of Fuel Up to Play 60 en Español aims to engage kids and their Latino parents and communities in conversations about health and wellness. Everyone has a role to play in supporting the development of a healthy, high-achieving generation of empowered youth and our bloggers feel this way too! They shared ways they keep their little ones healthy, especially during the colder months and ways to give a healthy touch to those holiday dishes. "Por eso cada vez que veo una iniciativa que promueve la actividad física y buenos hábitos alimenticios, me dan ganas de saltar de alegría." "Existen opciones y variedades en la actualidad, es uno de los beneficios de estos tiempos tecnológicos. A mi me encantan aquellos sitios o plataformas, que están dirigidos especialmente a las mamás latinas. Y como estoy segura que a ti también te comparto esta información que me resultó muy práctica y motivadora." "Sometimes it might be a pickup game of soccer or walking around the park – we all do what we love, with the people we love; and it’s always a great time. No planning, money or hassle involved, getting active is free, healthy fun for the whole family." "Es increíble pero llegó la época de fin de año y por fin podremos disfrutar de esas deliciosas recetas latinas que tanto amamos en estas fechas, pero como ya les he contado en muchas de mis publicaciones de recetas latinas en especial las colombianas, las he ido modificando para darle ese toque más saludable sin que pierdan su sabor y esencia y menos la historia con lo que las preparaban mis abuelas." For more information about Fuel Up To Play visit their website, Facebook, Twitter, Instagram. And be sure to follow the #FuelGreatness for more tips on keeping the family active and healthy. Life is not about having things, but about living each day to the fullest no matter what. Happiness is not about how much is spent, but about experiencing moments - with your senses, with the heart, and with those around you. But carving time for fun and family while setting those daily house duties aside can be very hard. Luckily no matter what stinks, Pine-Sol® has you covered and our #LatinaBloggers share some very cool tips and tricks to help keep your house clean with the #PowerOfPinesol. "Pasos sencillos y eficientes para mantener la casa con niños limpia todos los días, sin perder la cordura en el intento. ¿El secreto? Limpiar a fondo una vez a la semana y mantener durante el resto." "Aromatizar y desinfectar la casa no requiere de gran esfuerzo. Desde la cocina hasta los baños y dormitorios pueden quedar oliendo delicioso y 99% libres de gérmenes con Pine Sol en 3 fáciles pasos. No solo es fácil sino económico." "Accidents happen and those mysterious messes left by Fido and Fluffy are not always easy to explain. Get them out without any lingering traces with these easy-to-follow steps." "Keeping a clean house with kids in the home can be a chore and taxing on your sanity. Learn to enjoy your kids more and stress less by doing a little each day." For more tips and tricks using the #PowerofPinesol visit bienvenidos.com. We all know what it's like to be pressed for time. The last thing on our mind is getting the laundry done, but it's a necessary evil we all just have to do. The revolutionary laundry pacs developed by Procter & Gamble’s Tide and Gain brands have reinvented the laundry process to provide excellent cleaning and freshness results, with minimal time and effort. Great innovation means more than just creating something new – it can actually help improve lives. 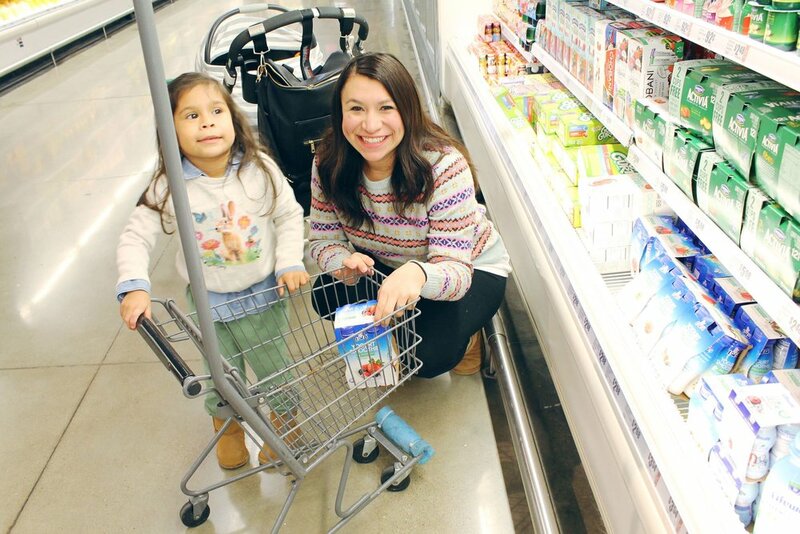 These #LatinaCreators share the ways they use their laundry pacs and how these little things have helped better their everyday lives. "We´ve taught each of our older children to just fling the laundry pac into the washer, then load their clothes, shut the door and press “start.” No more wasting time and money on different products!" "They are pretty genius. Each pod is made up of a three-chamber laundry pac that has double the concentration as regular liquid detergent." "There’s actually an easy one step way of doing laundry now, with Tide Pods. Did you hear me?! EASYYYY!" 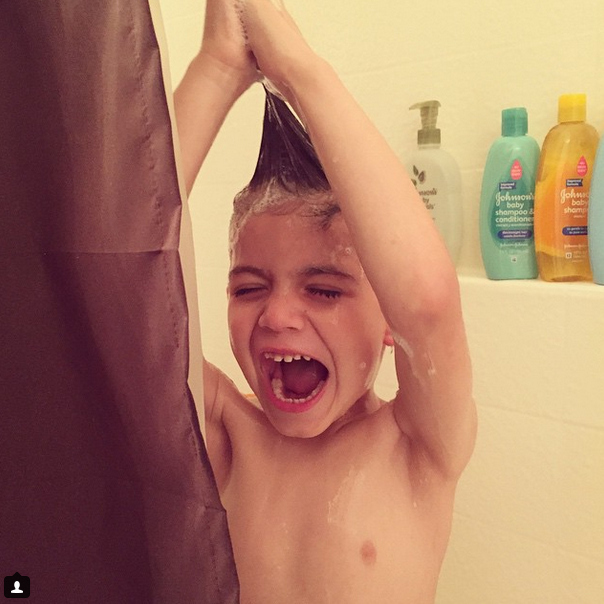 "With a toddler in the house we’re constantly battling… battling stains in the laundry room! 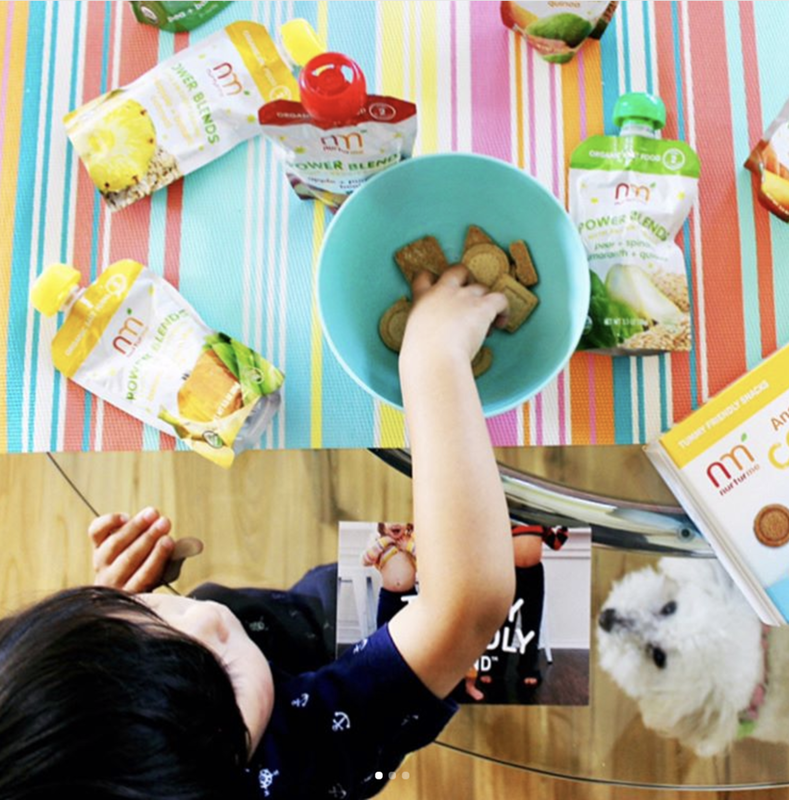 We’re so excited to be sharing our first time trying Gain Flings! It’s a 3 in 1 laundry detergent, fabric softener and stain remover." To learn more about these amazing little pacs follow the conversation with #NuevaFormaDeLavar or follow Tide and Gain on Twitter. As parents we want to teach our children that no dream is unattainable, and as adults we need to remind ourselves of that lesson. Honda knows this and shares the message in this gorgeous "Space for Dreams" video. #LatinaBloggers and #LatinaCreators were invited to share what space for dreams means to them on Twitter, Facebook, Instagram and their blogs. "I got into Phoenix hours ago. I haven’t even been gone a day and I miss them but I’m here, right where I should be, because I chased a dream. A dream, years in the making, that started happening when I’d pass somewhere and think to myself, hey I want to be there! I want to do that! I need my kids to know that living (real living) is when you dream. No dream is too big"
"I encourage you to ask yourself–Are you inspiring your children to dream through your example? Are you using your talents and abilities to your potential? Then ask yourself what else in your life could provide you with an outlet so you can share those talents and allow you to be a mother who, through your actions, teaches your children what it is to follow their dreams." "Andres Ignacio es mi soñador empedernido. Yo lo veo, lo observo y me maravillo de esa capacidad de transportarse, de crear mundos imaginarios, de construir naves espaciales que siempre albergan lugar para una espada con poderes especiales… Su cabecita no para, sus ojos viven iluminados en la fantasía y el mundo de infinitas posibilidades que su mente le regala." And how do you carry around all these dreams? In the Honda CR-V 2015, of course! The 2015 Honda CR-V is not only a place where you can have the physical space and mental peace mind to dream but also a tool that takes you to the places that will help you achieve your dreams. The CR-V is quite literally, the vehicle to help accomplish your dreams. For more on the 2015 CR-V check out Ana Cruz's video -- you'll fall in love. The best gift any mom can receive on Mother’s Day is an expression of love from her children. And for those who have a baby at home know that the sweet giggle from their little one is more than special. This is why on Mother's day JOHNSON’S® Baby wanted you to enjoy those moments and to remember that every touch, every hug and every smile stimulates your baby’s senses and helps his/her healthy development. Our #LatinaBloggers shared their touching baby stories and photos of those special moments. "The power of touch has always worked with my babies and as they grow into young men, it will continue to do so." "We also go out a lot, we smell the flowers, we talk about colors, and I let him play in the water during his bath. We are trying stimulate his senses in a fun and natural way." "El contacto piel-con-piel de 25-120 minutos post parto, puede afectar positivamente las interacciones entre mama y bebe un año mas tarde." "Y es a través de los sentidos que nos hemos querido tanto, es así como nos hemos demostrado lo importante que somos el uno para el otro." For more sweet and touching stories follow #SoMuchMore on Instagram and Twitter. Oh to be a little girl again! The #ViandVa dolls are a recently launched line of adorable Latino culture inspired dolls that help girls honor and embrace their heritage. These little adolescent muñecas focus on both family and culture and are available exclusively at Target. They are not just friends, but sisters and cousins. Our #LatinaBloggers were recently introduced to Viviana, Valentina, Roxxi and Felicia and shared their experiences with us. "But how's this for cute? There is a new line of dolls that embraces Latinos and their (our) sense of family and friendship. But that's not the only thing the Vi and Va dolls embrace. They were created for Latino kids to embrace their personalities, goals, and even flaws. Love that." "My little friend AnaKaren, she was so happy when she knew about the new Vi & Va Dolls. She got all excited and want it to play with them right away." "Que maravilla es poder pasar tiempo en familia disfrutando del juego. Hace unos días Elena cumplió sus cuatro años de edad y se nos ocurrió realizar una pequeña “fiesta de muñecas” donde Vi and Va nos acompañaron al festejo." "My cousins and I, like so many young girls, let our imaginations run wild with our dolls. We turned shoeboxes into doll cars, we turned bookshelves into apartments, we made slips of paper into doll books. Taking some inspiration from each doll’s own personality and a little child-like ingenuity, I thought of a few fun ways girls can play using the dolls, their big personalities and items around my home." "Maya picked her favorite right away, she picked Felicia, she is an artist. The first thing Maya asked me was: Why is her name in Spanish?" To follow more on Vi and Va be sure to like their Twitter and Facebook pages. Every year Mother's Day brings the opportunity to celebrate and honor our the special moms in our life! For those of us far away from home, it also brings up the question "que le regalo a mi mamá?". Undoubtedly sending money and allowing our moms to choose their gift is one of the top choices but then the "how do I send it?" takes over. Enter Pangea Money App a fast, reliable and easy way to send money. Currently, Pangea is available in only certain States and only transfers money to México but they are rapidly expanding. Just in time for Mother's Day, Latina Bloggers Connect partnered with Pangea to show that sending money to México is as easy as 1, 2, 3. Don't believe us? Watch the video below and see for yourself. Here's what a few of our #LatinaBloggers and #LatinaCreators had to say about Pangea. MamiGlammy "One of the gifts my mom will receive this year for Mother’s Day is no more visits to the bank for me." "I love that there is a better option for sending money to loved ones in Mexico through Pangea, so this Mother’s Day make sure you do something special for your mom, your abuela, your tia or any of those wonderful women who inspire you back home by sending them money through Pangea!"